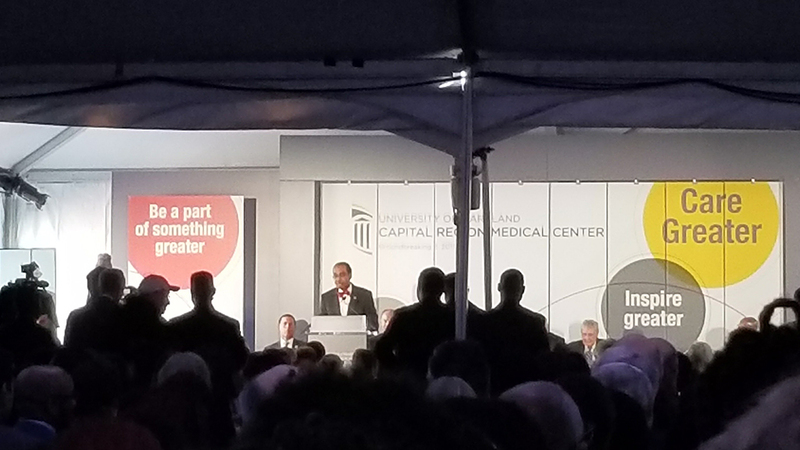 The Wilmot Sanz and Grimm + Parker Architects design team is thrilled to celebrate the groundbreaking of the new University of Maryland Capital Region Medical Center in Largo, MD. Reflecting years of hard work by community, civic, and industry leaders, the new medical campus will replace the existing University of Maryland Prince George’s Hospital Center in Cheverly and will deliver state-of-the-art healthcare services to residents of Prince George’s County and southern Maryland. 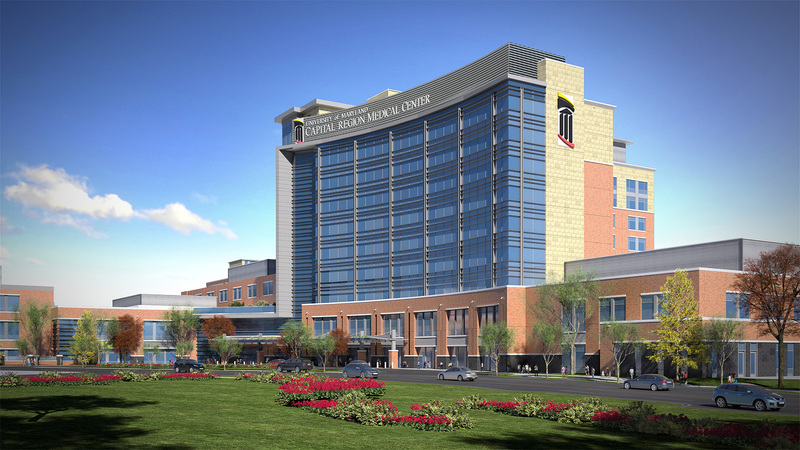 The project includes a 600,000 sf hospital and new ambulatory care center. 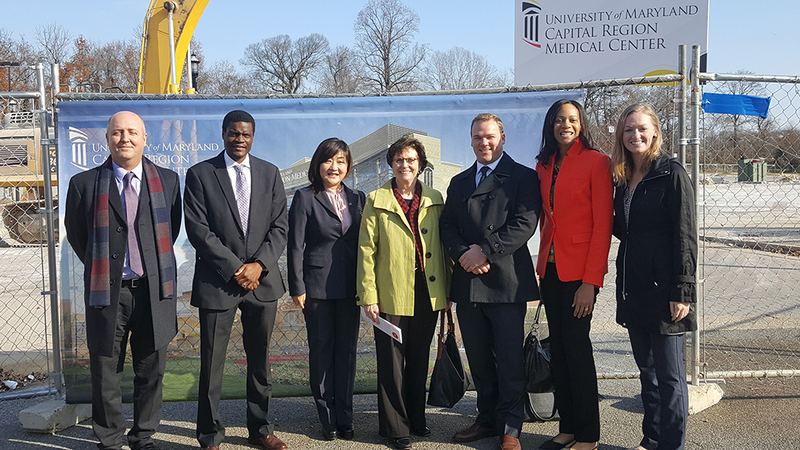 Located adjacent to a Metro station, the medical center will ultimately anchor a thriving, pedestrian-friendly mixed-use development.